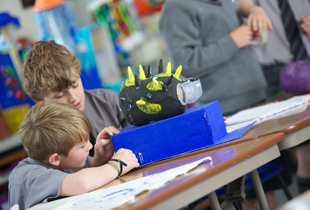 From drawing and painting to sculpture, textiles and photography, Art has a high profile at Kimbolton and we celebrate our pupils’ creativity at all ages via displays throughout the school plus annual art and DT exhibitions at the Prep and Senior Schools. The subject is introduced at Reception and plays a key role in building our youngest children’s confidence and self-expression - as well as being lots of fun! It is subsequently taught as part of the curriculum from Year 3 to the Third Form in the Senior School, followed by optional GCSE and A Levels in the Fourth to Sixth Forms. In addition, we offer a huge range of extra-curricular art and design clubs, trips, exhibitions and competitions, with opportunities for everyone to get involved whatever their age, ability or experience. 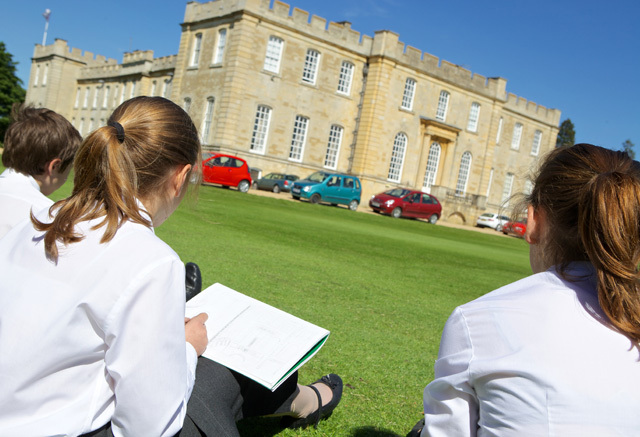 At both the Prep and Senior Schools, our light and airy studios - as well as our beautiful grounds outside - provide a rich and stimulating environment in which every pupil can explore a wide range of techniques and materials to reach their full potential. Art and Craft Club; Jewellery Club; Sewing Club: Open to pupils in the Lower Prep (Years 1 and 2). Knitting Club; Art Club; Comic Club; Art Masterclass: Open to pupils in the Upper Prep (Years 3 to 6). KiMedia: Film making and editing for all ages, using iMovie and the Apple mac computers in the Art Department. Ingrams Art: Aimed at First and Second Form pupils, with organised activities throughout the year in ceramics, painting and printmaking. Open Art: Open to all age groups to follow work of their choice. This could be a fun project or help with a coursework piece. Set Design: Replaces Ingrams Art in the Spring term and gives pupils the chance to help make the set for the year’s drama production. Saturday Morning Art: These sessions are aimed at GCSE and Alevel students, giving them the opportunity to work on art pieces for a whole morning with staff help and advice. These run throughout the year (but not every Saturday). Arts week takes place every other year. In the past we have had residential artists based in school to work on pieces throughout the week. Last year we asked up and coming artist Alex Chinneck to deliver a lecture on his past pieces and his forthcoming projects. Art is displayed throughout the school, from the Prep Foyer to the Shop, Medical Centre and Library. A larger display of A level work can be seen in the Queen Katherine Building. 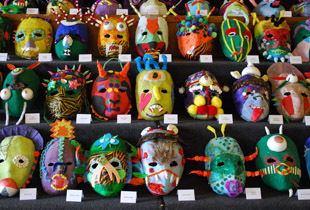 Prep School Annual Art and Design Display: This is held in the Hunter Hall and remains in place for our Open Day. There's some wonderful work on show by children from ages 4 to 11. 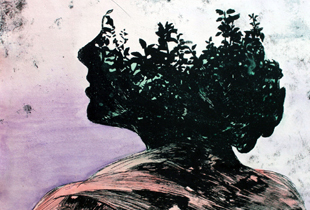 Annual Exam Year Exhibition in June: We exhibit work from all our final year exam candidates in June each year. The GCSE students are displayed in the Art department and the A level work is in the White Hall on purpose-built exhibition boards. Alumni Exhibition in January: Every three years, we invite back Art and Design students that have gone on to study further and work in the Art world. They exhibit their latest work for us: fashion designs or pieces, graphic design or products they have designed. It is a great way to make the leap from school to an artistic career come to life. This exhibition is aimed at pupils considering studying Art and or DT at GCSE or A level. Christmas Card Project: Each December our Prep School children take part in a ‘Christmas Card Project’, where they design their own Christmas cards to raise funds for a nominated charity. 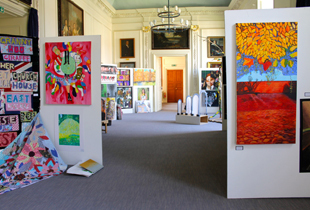 Kimbolton Senior School Summer Art Competition: This is held every July and pupils are asked to make an art piece over the summer holidays, with entries exhibited on Open Day. The competition has a different theme each year; previous themes have included: Games, Colourful Moments, Great Shot and Snap Shot.